The digital revolution has helped level the playing field in learning, giving millions access to information and opportunities through internet access. But one giant hurdle is keeping this generation from taking full advantage of those benefits. A wide gulf still separates many schools and their students from their constantly growing connectivity needs. Shoring up the digital divide to bridge the equity gap is one of the greatest challenges for today’s educators. While most administrators and IT representatives agree that the future of K-12 education hinges on ubiquitous connectivity, the number of those with plans mapping out long-term network capacity needs falls well short. Added to that is the large number of students who arrive at school early or visit fast-food restaurants to access the internet. 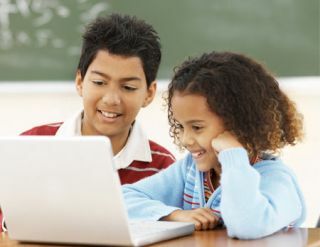 Federal programs such as E-Rate help address these issues and allow schools to create fully connected, high-bandwidth environments that can make the difference in learning. Comcast Business helps schools, universities and libraries bridge the equity gap in the classroom and beyond. Learn how you can leverage their expertise and advanced technology to increase opportunities for student success. Join Tech & Learning’s Content Director, Kevin Hogan, on 9/14 as he leads a lively conversation with education leaders including Adam Phyall, Director of Technology & Media Services, Newton County Schools, Aleigha Henderson-Rosser, Executive Director, Instructional Technology, Atlanta Public Schools, and Chris Prekopa, Director, Comcast Business, about the challenges challenges many schools still face and proven strategies to conquer the obstacles creatively and successfully. Schools today typically need 100 Mbps for every 1,000 Internet users, and the need for bandwidth will continue to rise to support enhanced learning and online assessment advances. A scalable, large-capacity native network can deliver level performance over all locations on campus. Schools faced with tightening budgets can get their students connected for collaborative and distance learning, multimedia curriculums, and much more through the power of high speed networks. Scroll through this infographic to learn more. Common Core, the White House ConnectED initiative, and the U.S. Department of Education’s Future Ready initiative are helping drive the digital pace of education—and a majority of classrooms are already using streaming video and supporting Bring Your Own Device (BYOD)initiatives for students. Learn how to make these essential learning tools work for your school.